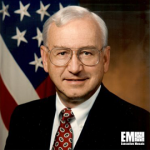 Paul Kaminski, a former Defense Department undersecretary for acquisition, technology and logistics, has joined Mitre‘s board of trustees. The nonprofit said Thursday he currently serves as president and CEO of Technovation, a consulting company that helps clients develop business and investment strategies related to aerospace and defense technology. Jason Providakes, Mitre president and CEO, said Kaminski will contribute his strategic and technical insight into Mitre’s efforts to support sponsors within DoD, the intelligence community and civilian government agencies. Kaminski previously served as chairman of the Defense Science Board and RAND Corp.‘s board of trustees. The retired U.S. Air Force colonel also chaired the boards of HRL Laboratories and Exostar, as well as served on the president’s Intelligence Advisory Board, the Director of National Intelligence’s Senior Advisory Group, the FBI director’s Advisory Board and the Senate Select Committee on Intelligence Technical Advisory Board.